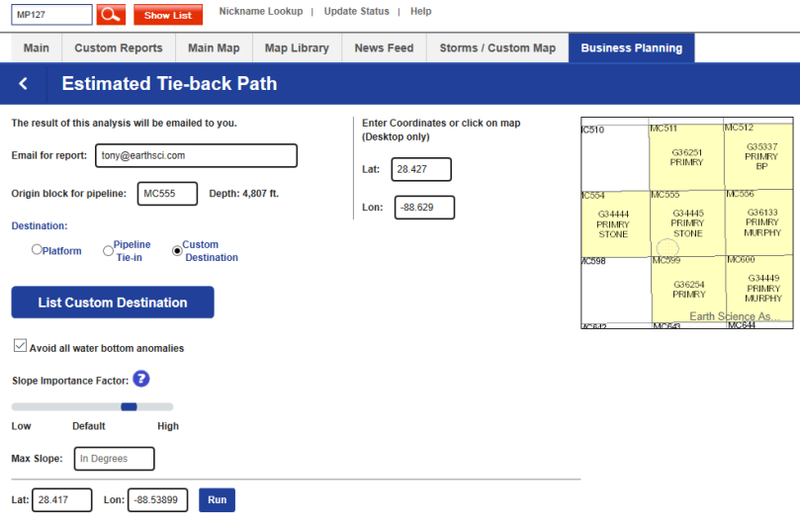 One more addition to the Tie-back tool after the inclusion of Pipeline Tie-in choices: Custom Destinations. As we accumulate more feedback, we have added more functionality, in this case the ability to define specific Lat/Lon coordinates as the end point of the route. This option extends the tool in ways that allow for routing basically anywhere in the Gulf. Now beginning and ending coordinates can be set to generate a shapefile and a report with a map of the path and statistics to compare it against all other pipelines. In many ways this flexibility extends the routing beyond 'tie-backs' to really any pipeline path. 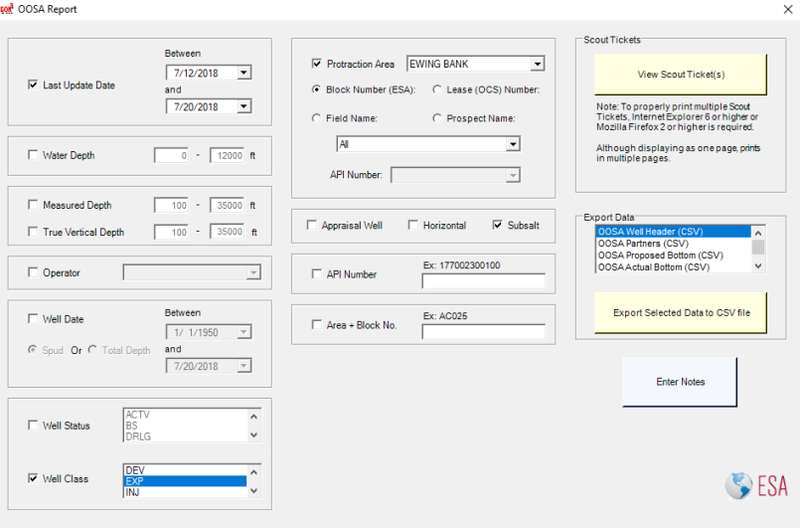 Just a quick note to alert OOSA members that the interface to directly create OOSA Reports (scout tickets) includes new search options. 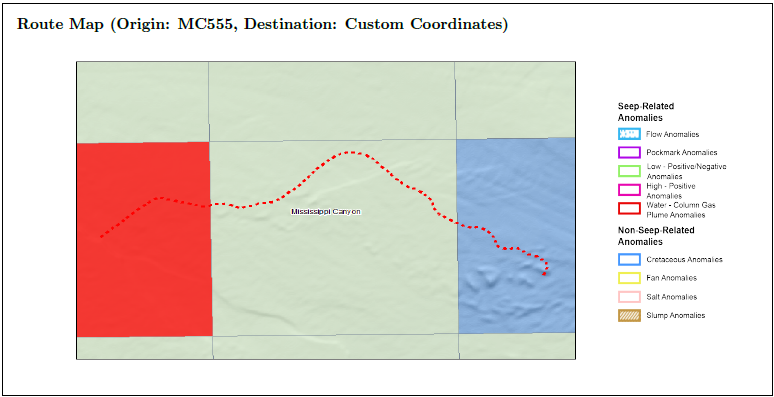 These options filter the search by well status and class as well as restrictions to include only appraisal wells, horizontal wells or subsalt wells. This interface is available from both the ESA Desktop and in ArcMap. And remember, data can be viewed in scout tickets but also exported for work in Excel.